Love a good theatrical experience? Yep, so do we. Especially in unexpected places. Like Marfa. There are so many reasons to love Marfa, aren't there? The wide-open spaces, the art, the screenwriting. Screenwriting? Yes, it’s that time again. 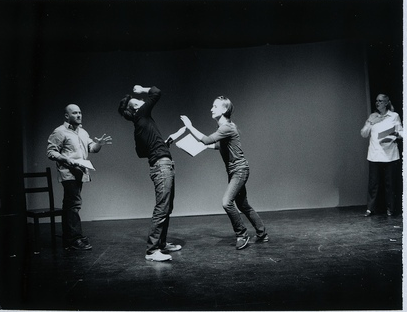 For Ballroom Marfa's second annual presentation of The Reading, a professionally staged screenplay performance that showcases one of the winners of the Academy of Motion Picture Arts and Sciences’ annual Nicholl Fellowship. On April 21st, at Marfa’s Crowley Theater, The Readingwill place this year’s spotlight on up-and-coming writer Dion Cook and his brilliantly crafted script, Cutter. You’ll want to be there to be a part of the action in this hipster outpost region. Many consider this to be the world’s most esteemed screenwriting competition. Why? Cutter was one of five screenplays chosen from a record 6,730 submissions to be honored with the 2011 Nicholl Fellowship in Screenwriting. Dion Cook’s Cutter was then singled out to be further honored by Ballroom Marfa’s distinguished Filmmakers’ Selection Committee, comprised of Director and Academy Awardâ-winning screenwriter Robert Towne, Emmyâ-nominated actress Jeanne Tripplehorn, and veteran producerRobert Shapiro, who also serves on the Nicholl Fellow Selection Committee and will again be conducting this year’s panel discussions following The Reading performances. Cutter tells the powerfully captivating story of a Miami trauma physician who moved to the United States after surviving the horrors of the 1994 Rwanda genocide. 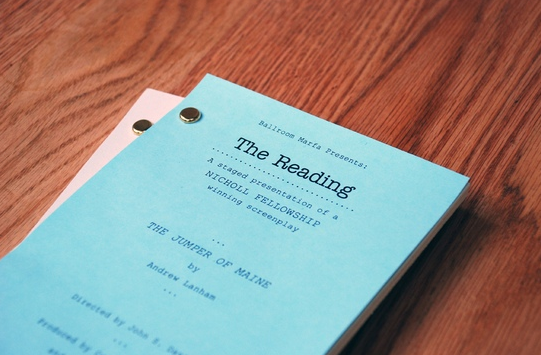 On April 21 Ballroom Marfa will present two performances of The Reading at the Crowley Theater (one matinee at 2:00 PM and one evening show at 8:00 PM), each followed by a panel discussion with the screenwriter and others involved with the project. The performances are free, but as seating is limited, reservations are strongly advised. To reserve a seat at this year’s presentation of The Reading, visit www.ballrooommarfa.org or call 432.729.3600. See you there… Out West.